The second largest rainforest in the world lies cradled in the Congo Basin of Central Africa. It represents more than 60% of the African continents total rainforest area, and holds within it an almost unfathomable diversity of life. However, like many of the Earths most precious places, this center of immense cultural and ecologic importance faces escalating deforestation and threats from pressures including fuel wood collection, timber and coal production, unsustainable agricultural practices, and social and political unrest. 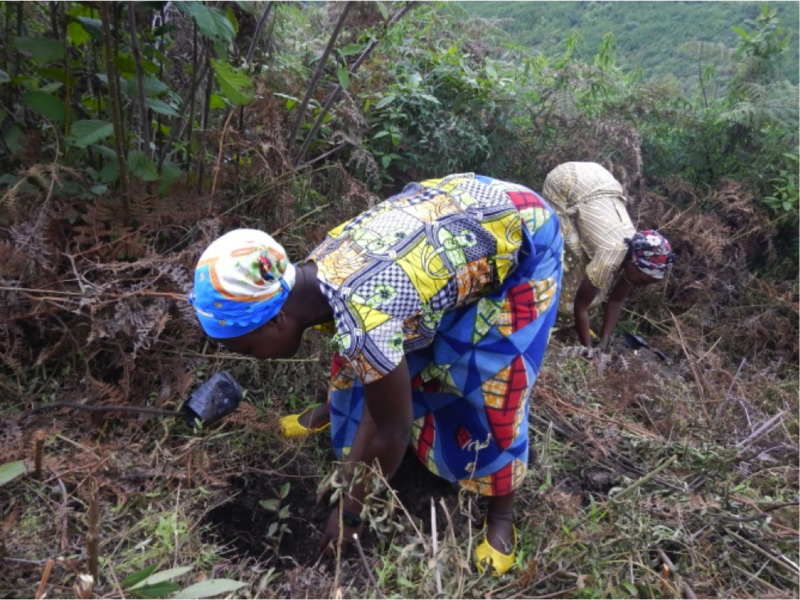 For more than a year, the Women’s Earth and Climate Action Network International (WECAN International) has been collaborating with women in the Democratic Republic of Congo’s (DRC) South Kivu Province as part of the ‘Women for Forests and Fossil Fuel/Mega Dam/Mining Resistance’ program. Through a series of online trainings and on-the-ground strategy and action sessions, WECAN International and local partner SAFECO are providing an arena to address regional socio-economic need, support women in their role as community leaders, and confront critical environmental issues by building local solutions with a global vision. 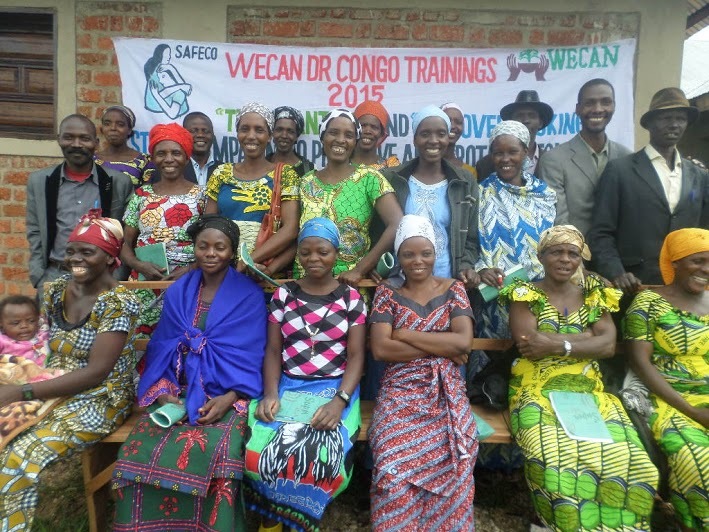 WECAN International and SAFECO led the most recent three-day training in February 2015, bringing together twenty women and seven men from ten different villages around the Itombwe rainforest. The DRC Climate Solutions Training is part of an ongoing program held in the area with the aim of growing the knowledge and capacities of the local, indigenous women to create and enact place-based climate action plans. Building on previous sessions, the February training covered topics including deforestation in the Itombwe forest, forest protection and restoration techniques, and the use of Improved Cooking Stoves as means of reducing pressures on the forest and improving family health and wellbeing. During the first session, participants engaged in conversations about the importance of trees and their relationship to climate change, focusing specifically on the immense value of native species and why exploitative practices such as logging are so detrimental to the health of the rainforest, the livelihood of their communities, and the global environment. Crucially, the group discussed and observed how they can work as guardians of the forest and as climate leaders without sacrificing their livelihoods or access to the diverse gifts provided by the land. In connecting the lives, stories, and experiences of the local women to a larger climate change narrative, the facilitators hoped to help the women see the great power and agency they hold. Day two was spent visiting a small nursery where women learned techniques for starting and maintaining a tree nursery to contribute to reforestation efforts. 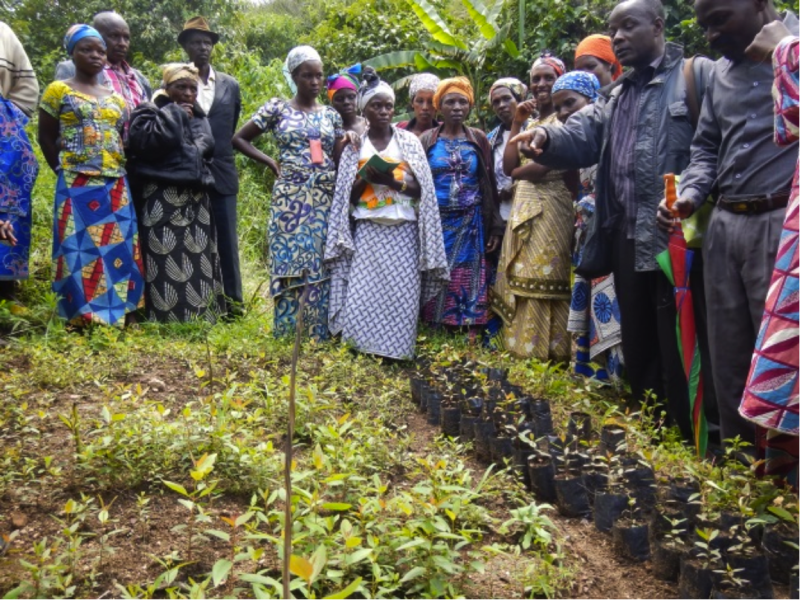 Participants planted over 100 trees and discussed how these trees contribute to water purification, soil fertility, carbon sequestration, biodiversity protection, sustainable food production, medicinal plant access, and so much more. “From these trees we expect to fight climate change by protecting wild ecosystems, as well as satisfy our needs of fuel wood, medicine, and timber production,” explained training participate Yena Nasoka. The third and final day was dedicated to discussions and practicums surrounding the use of Improved Cooking Stoves. Participants learned about the characteristics of the stoves, which facilitate more energy efficient, rapid cooking and reduce the amount of smoke polluting living spaces, lungs, and the surrounding air. Because of their improved efficiency, the stoves require less fuel wood, which can help reduce deforestation rates in a region where the collection of wood for cooking and light pressures the local environment. 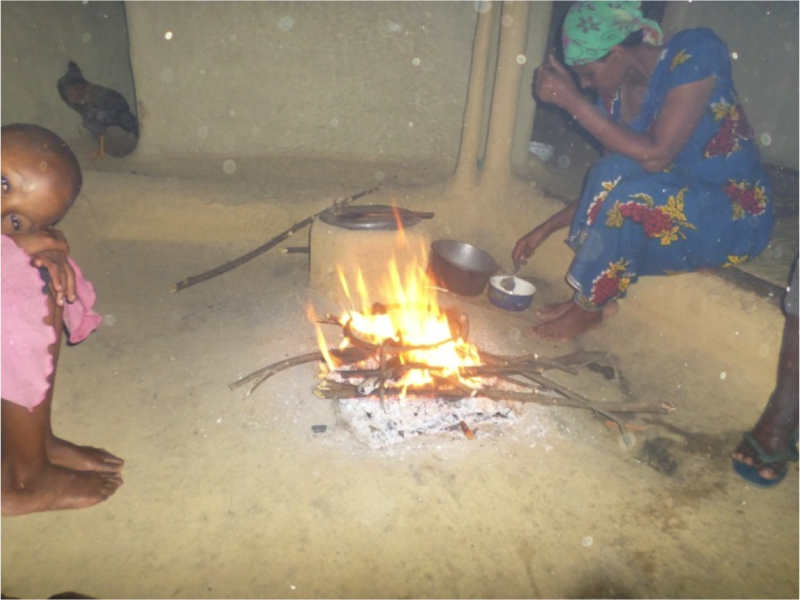 During discussions, women expressed excitement about the use the Improved Cooking Stoves for cooking and to contribute to forest conservation, but explained their concerns about not having a substitute for open fires used for light at night. WECAN International and SAFECO have begun the next phase of the program, which includes arranging for small hand-held solar lights to be brought into the region for light at night and for the women to develop their own small businesses selling and maintaining the solar lights. “I’m excited by WECAN’s holistic approach to bring solar light so we can have light at night and Improved Cooking Stoves. 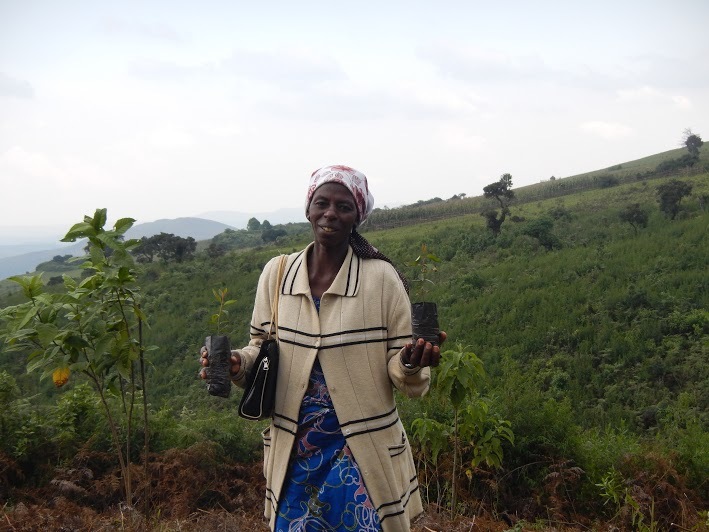 This will work in our region,” reflected one woman, Butunga Nalisa, on the final day. Participants in this and previous WECAN trainings have formed a local conservation committee to insure that the progress made during training sessions will continue to grow and take root in their region. Through the committee they aim to share what they have learned with other community members, work to document and denounce deforestation, and create a collective voice to speak out when fellow citizens or local authorities facilitate unauthorized timber and charcoal production. Following the February session, the committee of training participants held a meeting with local chiefs, government officials, and the WECAN DRC coordinator to present their suggestions and requests. Implement laws and regulations to prevent forest fires and deforestation by holding guilty groups and individuals accountable for their actions. Provide diverse tree seeds to local people and organizations involved in the process of planting trees. 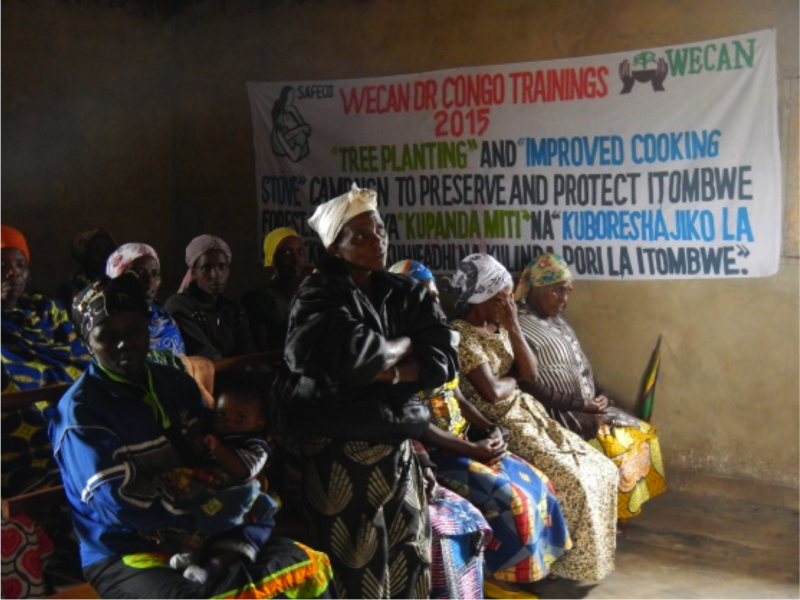 Support and create campaigns to make others aware of the importance of forest protection and tree planting, and to promote the use of Improved Cooking Stoves in all villages. Extend environmental education to community members of all ages. Uplift and implement Traditional Ecological Knowledge. Support local villages in getting cheaper solar panels and solar lamps to charge phones and provide light at night. The WECAN/SAFECO partnership will work to help the communities surrounding Itombwe bring these recommendations to fruition, and will continue to strive to support, encourage, and strengthen the women leaders forging the way.